HMT offers custom slitting, converting, and adhesive application. We are an industry leader for PVC/polyester converting, veneer converting, vinyl converting, paper converting to customers' vinyl, and paper material to laminates that can be slit to various sizes used for edge banding. Various substrates that are used are PVC and paper backers. The adhesives that are used are PVA and epoxies. In addition, we offer thin film hot melt adhesive coating to various types of papers that are commonly used in the woodworking community. We can achieve thin coatings up to 61" in width. 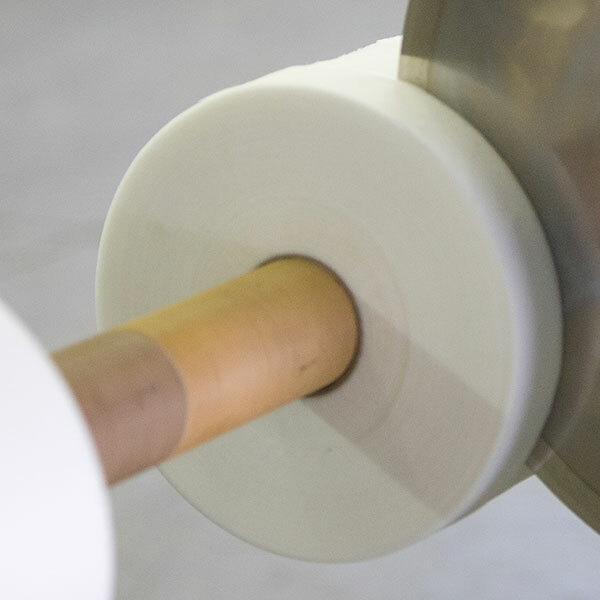 HMT is the proven choice for those looking for a quality supplier to laminate your vinyl to a PVC backer, decorative papers to paper backers or applying thin film hot melt adhesive to your rice paper.